The Independent Press Standards Organisation has been widely criticised for failing to so far establish a whistleblowers’ hotline. 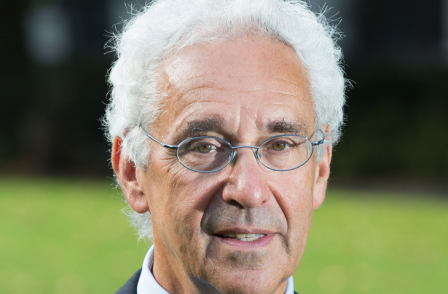 The new press regulator, whose chairman is retired judge Sir Alan Moses (pictured above) and whose members include most national and regional titles, has been up and running since September. The hotline, which was recommended by Lord Justice Leveson and included in IPSO’s founding documents, would give journalists an opportunity to anonymously blow the whistle on bad practice at their titles. “It should be there,” said Paul Vickers, chairman of the Regulatory Funding Company, which represents publishers and pays for IPSO through membership fees, told the House of Lords Communications Committee on Tuesday. Update: After this story was published, an IPSO spokesman told Press Gazette that a hotline is in the "workplan for 2015". He said: "We do intend to have it, but it needs to be set up properly and it needs to be promoted effectively, and it needs to be staffed." The spokesman explained that there are "financial implications" to setting up a hotline, and this can be done now that funding has been agreed for the year. They added: "Any journalist who has a serious concern about the newsroom in his or her publication is invited to speak directly to IPSO's chief exec, Matt Tee. And if he's not able to be put through at that instant, they will be given Matt's mobile number and they will be able to have a confidential conversation. "That's an indication of how seriously we take the issue." If journalists have concerns outside of IPSO's office hours, the spokesman said they should leave an answerphone message or follow up with an email to IPSO. Vickers told the Lords there was no issue over funding for the hotline, but said that some of Moses’s spending proposals had “raised a few eyebrows”. 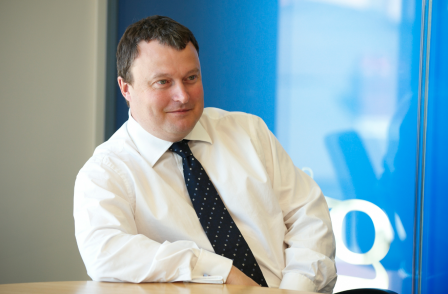 He said that Matt Tee, the chief executive of IPSO, is being paid “significantly more” money than directors of the previous regulator, the Press Complaints Commission, were. Vickers also told how IPSO has asked to move office from the “frankly quite nice” former headquarters of the PCC. Asked about the funding body’s relationship with IPSO, Vickers said it was “as cordial as it can be”. “We are not certainly, how do I put this, in each other’s pockets,” he said. “You’ve met Sir Alan Moses, you’ve read some of his comments over the last year. You know, he is very robust. He is super independent and he slightly shoots from the hip, but he says what he thinks. Last week, Moses told the House of Lords committee that press owners should scrap rules allowing them to “obfuscate and resist” an investigation and spoke of the need to put a "red pencil… through a large amount of these rules". But Vickers said it would be unlawful for IPSO to do this on its own, and suggested that he should get more "experience" running the regulator before proposing changes. He said: “One of the things that we have stressed to him, which he says he hears, is that it took a long time to negotiate with as many parties as we did to get the structure that we eventually managed to do. “There were loads and loads of people who didn’t want to be part of this system. And there were compromises made along the way. "One of the people that we bent over backwards most to accommodate was in fact The Guardian. So lots and lots of the features of IPSO as it stands at the moment are there because The Guardian asked for them – and perhaps overcomplicated partly because of some of those things." The Guardian, along with The Independent and Financial Times, has not signed up for IPSO, and is instead currently regulating itself. On Moses's proposed changes, Vickers said: “As you will know, once you are signed up to a contract it’s impossible for, it should be impossible, and is in law, for one party to that contract to unilaterally change the terms of the contract. "So Sir Alan says he is going to put a red line through a whole load of things. He can’t. Vickers said he is meeting with Moses and IPSO tomorrow (Friday) to discuss his proposals. Chris Frost, chair of the National Union of Journalists Ethics Committee, was also critical of the fact IPSO has not established a whistleblowers' hotline, as was campaign group, Hacked Off. “Leveson said that there should be a whistleblowers’ hotline to go to the regulator,” said Hugh Tomlinson, QC, of Hacked Off. “Journalists are very often pushed by their management into doing things they don’t want to do. You heard it in evidence at the phone-hacking trials. Evan Harris, associate director of Hacked Off, said: “You can buy a hotline service from Public Concern at Work, it’s not difficult. Tomlinson also stressed that The Guardian, Independent and Financial Times, which have so far rejected IPSO, should not be allowed to regulate themselves. She said: "We have been monitoring newspapers to see if there is any change in behaviour. "What is frankly astonishing is how little the newspapers have changed." The committee is inquiring into the issue of press regulation in the wake of Lord Justice Leveson's exhaustive inquiry into the culture, practices and ethics of the press following the phone-hacking scandal. Smith gave specific examples of stories she said intruded into people's privacy and said that in a case where The Sun admitted it was wrong to publish a story about a four-year-old boy who was said to have the "mark of the devil" on him , it ran an "absolutely tiny" statement about it on page two, when the original story was on pages one and five. "In no sense is that anything like the prominence that this story got, and it doesn't recognise the damage it's done," she said. No-one from IPSO was available to comment this morning.